Ever wondered how much energy is consumed and CO2 is produced by all those lights on the Las Vegas strip? 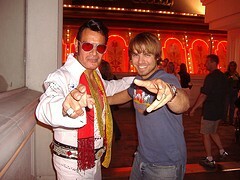 I’ve just returned from a business trip to Vegas and though I did get the obligatory touristy picture with one of the ten thousand Elvis (or would it be “Elvi”, plural?) I found myself unable to cease wondering how much power is consumed by all those lights, glitz, and glam. Despite a great deal of scouring, I have thus far been unsuccessful at obtaining hard and simple facts as to actually how much power all those lights on the strip consume. However, a guest blogger named Sue Roaf, a professor and expert in environmental architecture, published an enlightening post at ClimateDenial.org on the topic back in November. For scope, the average American household uses 10,660 kWh/year. Residents and guests at The City Centre are projected to consume TWICE THAT AMOUNT! Is there any solution to the ravenous energy consumption and carbon dioxide production that epitomizes Vegas? They could use the ever famous and frequently discussed CFL, could they not? Well they could, and some hotels do, but they’re only useful for indoor light fixtures and such, not the outside neons that the Vegas strip is known for. So what else could be done? LED stands for light emitting diode and is even more efficient than a CFL, but the two are used for completely different reasons…sometimes. Though LED bulbs cost about 20 times as much as CFL’s, around $55 per bulb, the energy savings is drastic–rapidly offsetting their cost! 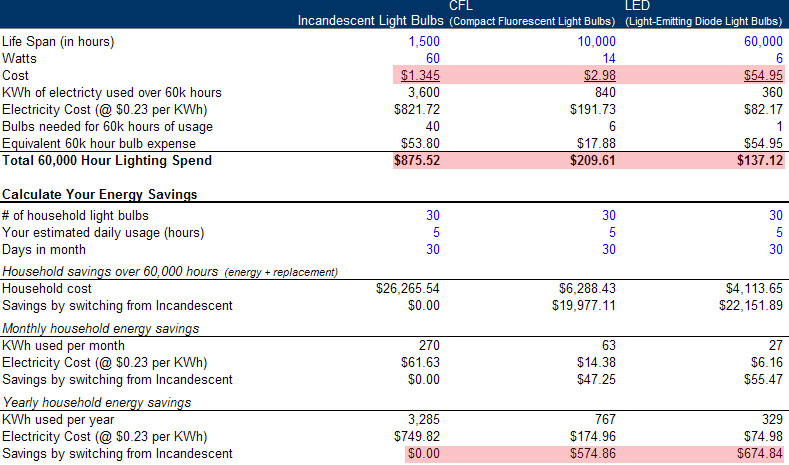 Click the following image to view a comparison done by ProductDose.com of a CFL, LED, and Incandescent. It will blow your mind! Are you amazed yet? 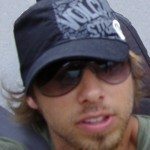 RabbitSemiConductor.com reports that Las Vegas is already implementing LEDs. I hope this is true, for the reasons we now clearly understand. Would you consider using such expensive LED bulbs in your home? How about when you travel? Do the environmental efforts a hotel or airline may take impact where you stay or how you travel?